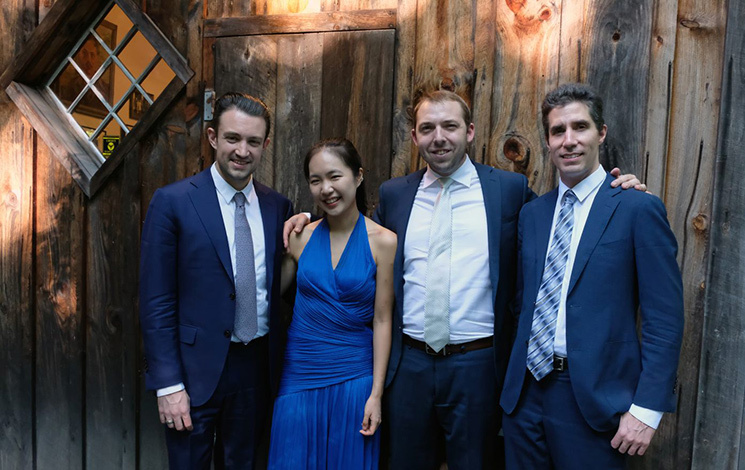 The Escher String Quartet has received acclaim for its expressive, nuanced performances that combine unusual textual clarity with a rich, blended sound. The quartet has made a distinctive impression throughout Europe, performing at venues such as Amsterdam Concertgebouw, Berlin Konzerthaus, London’s Kings Place, Auditorium du Louvre and more. With a strong collaborative approach, the ensemble has appeared worldwide to rave reviews.